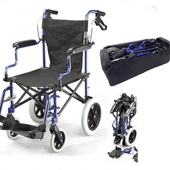 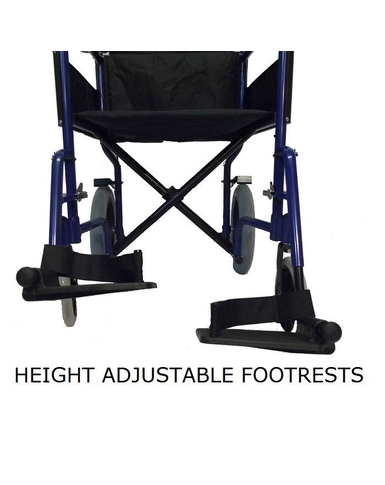 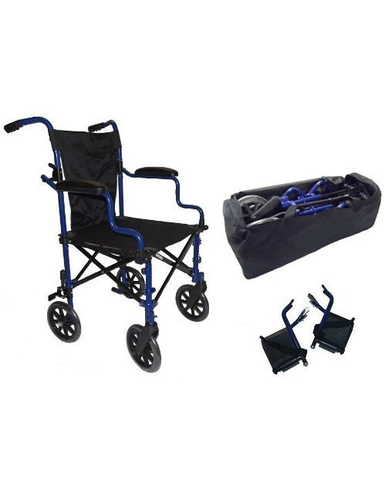 This wheelchair is totally portable, lightweight and comes with a strong carry holdall. 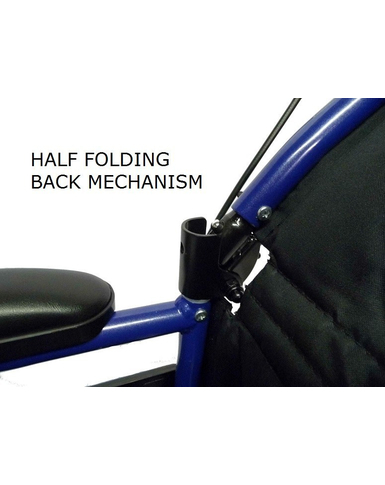 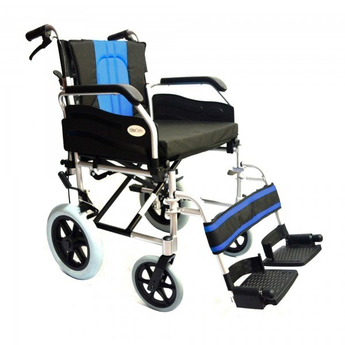 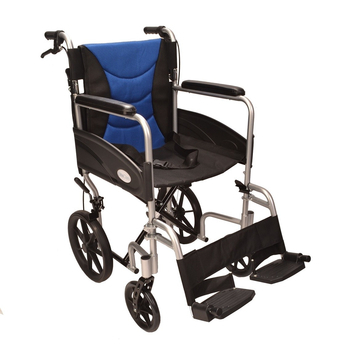 Features a strong aluminium frame in metallic blue, a half folding back mechanism for easy storage and transportation. 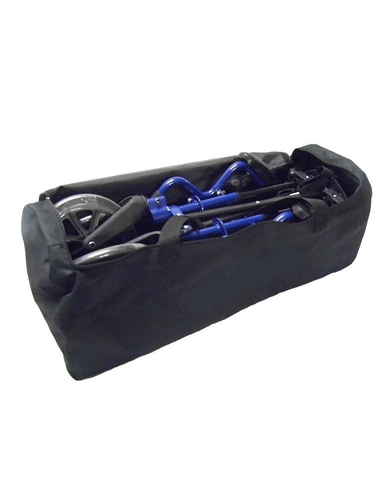 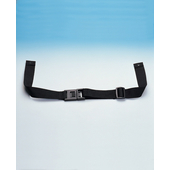 An 18″ Square nylon seat canvas with lift up straps. 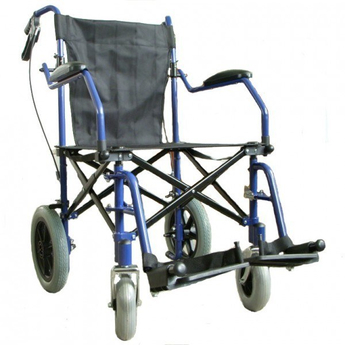 Parking brakes and quadruple steel cross brace and padded, flip up desk arms and height adjustable footrests for added comfort. 8″ solid tyres and a sturdy, yet lightweight frame, this occasional use chair is ideal for many situations from shopping trips to holidays.